While there is very little actual gaming news today (being such an amazing holiday that Easter is), it doesn’t make the rumor mill stop. It also doesn’t make fans stop their creative spirits, or in this case their ability to continuously comb through the internet to find any supporting evidence. 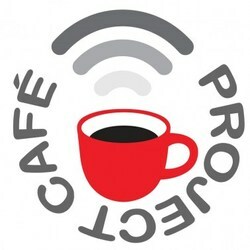 One of the most irrelevant part of the rumors may have some confirmation now, as the codename “Project Cafe” turns out to be “something” on an official Nintendo website. If you go to https://www.warioworld.com/cafe/ you will quickly notice it’s a working url. You can type in n64, ds, wii as well and they all work but naturally have fleshed out pages instead of a homepage URL redirection. If you type in any other random stuff you get a 404 error. While this doesn’t actually confirm the codename, it does suggest that “cafe” has something to do with Nintendo’s future plans, at least with Wario. While I have not found any other sites having a “cafe” url redirection, it’s interesting that it exists at all. Definitely a suggestion that it is the present code name, which means that since it was one of the very first rumors spilled that likely many of the others are also correct. Of course, Miyamoto himself told us some of the rumors were correct with just a few being false, but still it’s nice to see some potential proof here.